Back in Cozumel off of a cruise ship for some afternoon diving with the folks from Sand Dollar Sports. 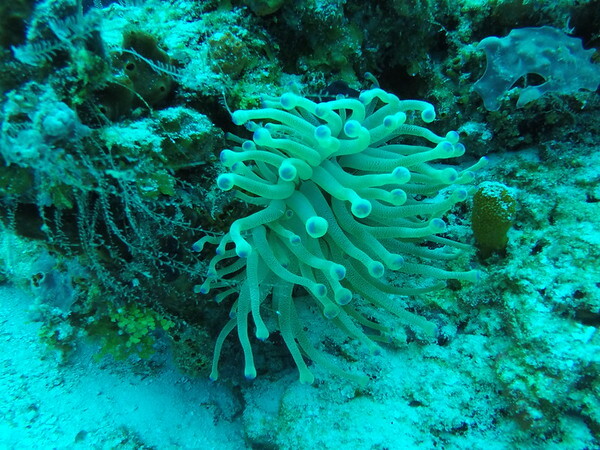 Our first site was a reef I'd never been to before in Cozumel called Tormentos. It was a decent reef with plenty to see along the way. 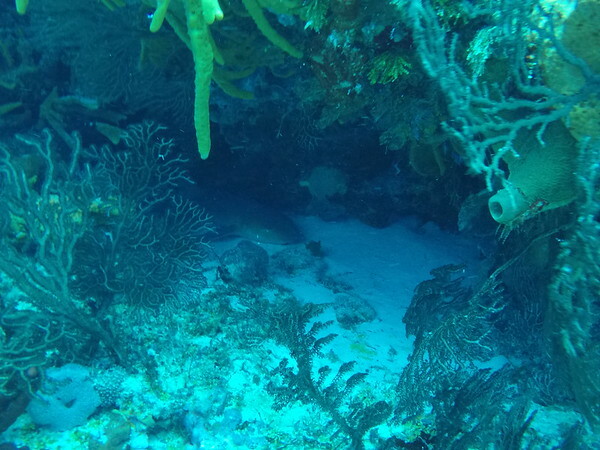 If you look closely at this shot, you'll see the head of a nurse shark tucked away under the reef. It must have been sleeping or extremely relaxed because it didn't move a muscle as we drifted by. 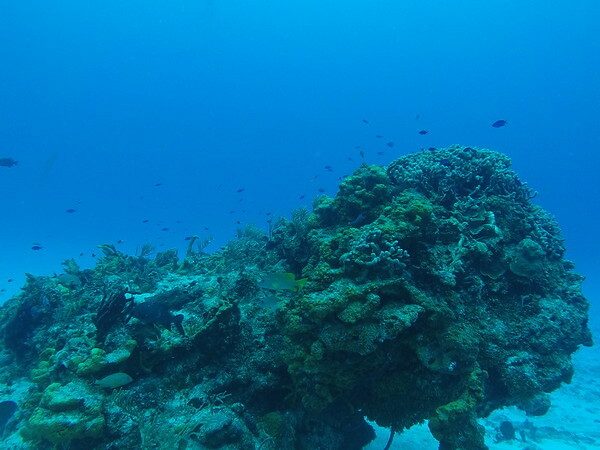 The visibility was pretty good on the dive and gave the reef a real aquarium feel. All in all it was a nice easy dive to start the afternoon.